This is just what I expected. It’s made out of great material and is t easily impacted by a knife. I love it. I bought it as a gift but I am able use it myself. 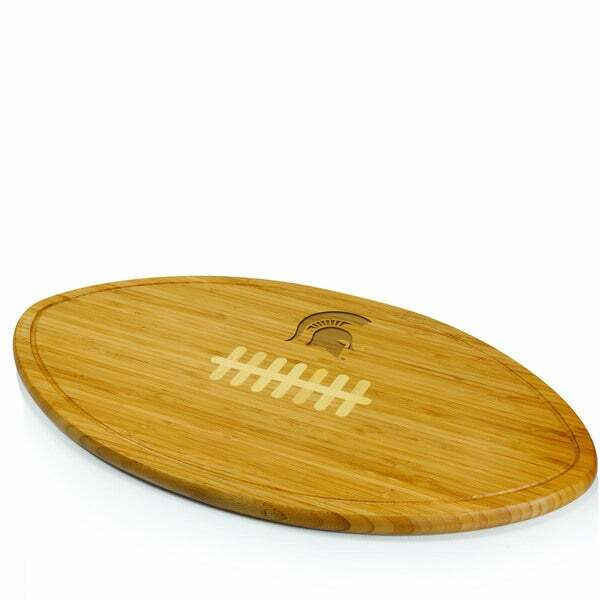 The Kickoff by Picnic Time is the party platter and serving tray made especially for avid football fans. The simple yet distinctive design features inlaid white Bamboo to mimic the laces of a football and tapered sides for easy grasping. Hand wash tools and towel dry immediately after washing. Not dishwasher safe. "How much does this board weigh?? " This item weighs approximately 5 lbs.